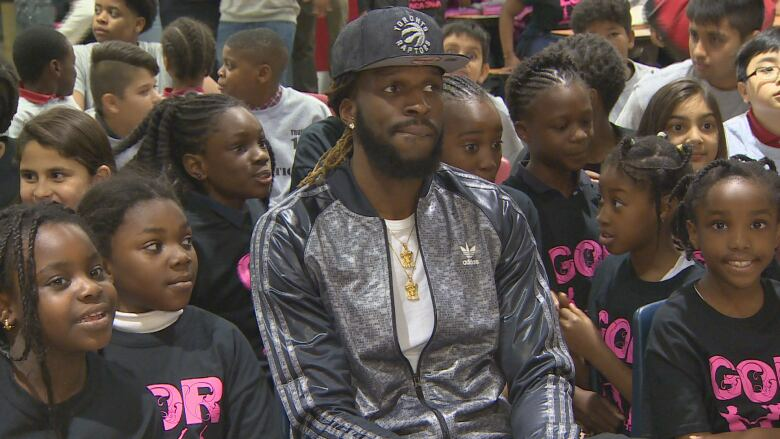 Toronto Raptors player DeMarre Carroll surprised a group of youth at a mentorship community program Wednesday afternoon. 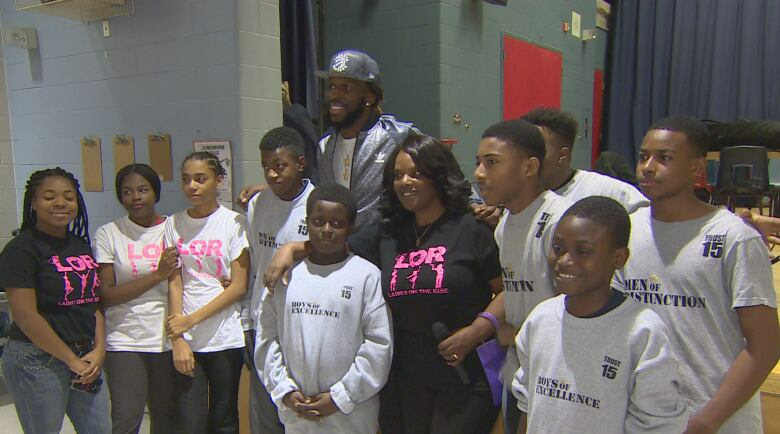 Jaws dropped and tears flowed when DeMarre Carroll walked in the room and surprised a group of youth at a mentorship community program Wednesday afternoon. The Toronto Raptors player dropped by Trust 15, a community organization based in Rexdale, to share some motivational words. "I had plenty of people telling me I was too bad, I didn't get the best grades, I wasn't going to make it to the NBA ... Look at me now," he said. Trust 15 is a not-for-profit organization that helps promote positive behaviour in teenagers and pre-teens and equips them with social and educational skills. "When parents come to me and tell me my child is a different child ... saying it's not the same kid who was upset or angry .. that's what makes me happy," said Marcia Brown, executive director of Trust 15. Every week, more than 100 youths from the Rexdale and North Etobicoke community take part in Trust 15's drop-in program after school. The organization connects them with mentors, professionals and leaders in the community to inspire the youth. Carroll spoke to the crowd about his efforts to bring awareness to liver disease and being diagnosed with it himself 10 years ago. "I'm the first NBA player to ever play with a liver disease. A lot of people go through different things, different obstacles throughout their life.You can get down on yourself and you can think you can't be successful and reach your goals but you can," he said. "I'm here and I'm a living witness for it."